Anyone who has taken a traditional CPR class knows exactly what to expect from these kinds of experiences. They tend to feature a rubber model of a human torso that isn’t all that responsive to the actual CPR being performed on it. 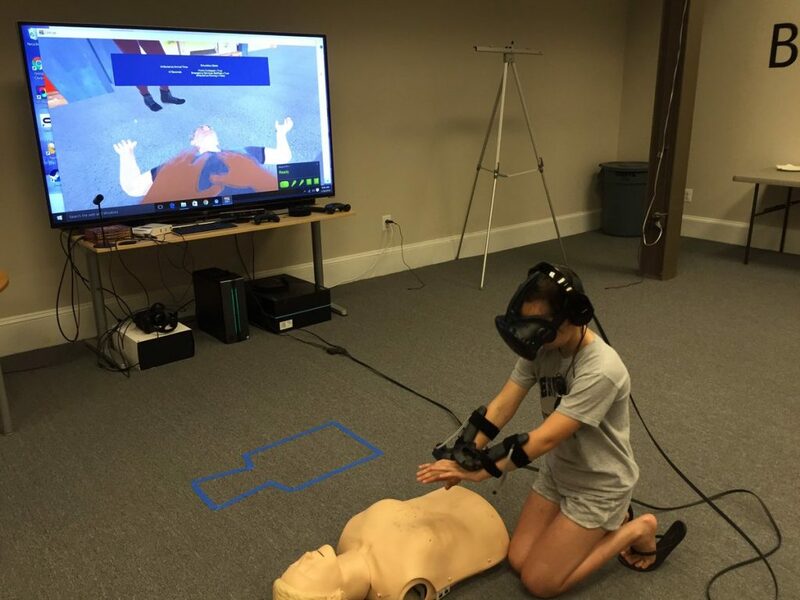 BrickSimple’s CPReality virtual-reality program marks the first real time CPR training simulation using augmented reality. The key here is feedback. When using the old models, without meaningful real-time feedback, users didn’t have any way of knowing if they were actually performing the required actions in a way that would help a real live patient. CPReality takes one of these rubber models and uses augmented reality to provide real-time feedback in order to help trainees to fully grasp the purpose of their actions. readable and digestible, telling the user how many beats per minute were achieved via the trainee’s compression rate, and giving tips regarding how to better perform the procedure next time, such as compressing faster, slower, harder or softer.